The best surprise about blogging – other than the fact that somebody actually reads this – has been the community. Maybe I’ve said this before, but I really can’t say it enough. In a world that seems like it would be horribly, high-school-ishly shallow and competitive, there is no shortage of encouraging words, positive reinforcement, and and gotyerbackism, a word that I just made up, but which should definitely exist because these ladies, they got yer back. It’s amazing to find a community of people who get you, get a side of you that most people in your daily life just don’t totally understand. I may be a lunatic obsessive baker with a cat for a sous chef, but at least I have a circle of friends that I can talk to who are right there with me (the cat is optional). One of these wonderful, equally baking-obsessed, terribly dedicated women is Meriem. Her site, Culinary Couture, is one that I was an avid reader of for a long time before Meriem and I became friends. We have a running email exchange, and this girl…she has my back. And I have hers. Because it’s her birthday and it’s Ramadan, a time of fasting, fellowship and prayer, so she is focused on so many other things right now and blogging is right where it should be: a last priority. Just because it’s Ramadan and she is fasting during the day, that doesn’t mean she shouldn’t have one hell of a birthday treat after the sun goes down. 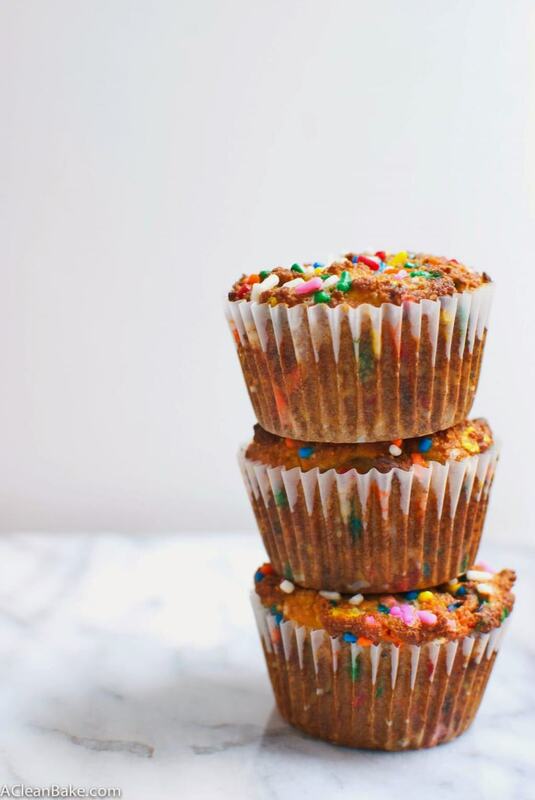 These muffins were made just for Meriem: they are are fun, sweet and celebratory, but at the same time full of healthy fat and fiber because the last thing you need after a day of fasting is a sugar high. For the same reason, these are perfect for breakfast. They are grain-free and sugar-free, and full of healthy fat from the almond flour and fiber from coconut flour, flavored with vanilla for a cake-like flavor, sweetened by honey and dressed up with sprinkles. Totally worth getting out of bed for! Have I convinced you? Great! 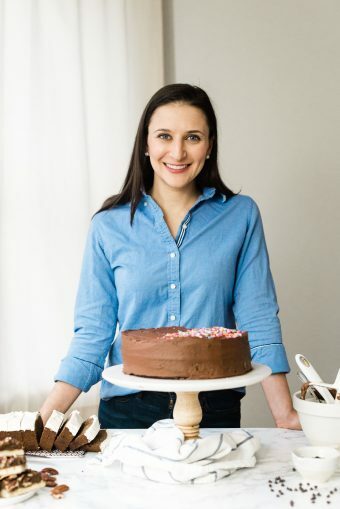 You can find the recipe on Meriem’s site, Culinary Couture (or just scroll down)! In a small mixing bowl, stir together the egg, vanilla, honey, almond milk and melted butter/oil. Portion the batter into the prepared muffin tin, filling to about a 1/2″ from the top of each cp. Brush the tops with additional melted oil or butter to help encourage browning (optional). Garnish the tops of each muffin with additional sprinkles. What I fun little muffin. I love that these are chock full of clean ingredients. . .to take away some of the guilt associated with eating carbs. I ‘m sure Meriem will be thrilled to indulge in these little delights once the sun goes down. Happy birthday Meriem! Okay so I am trying to figure out which recipe are the muffins you sent me and this seemed the most applicable except I am pretty sure you sent me banana bread muffins so now I don’t even know! But on the reals I am OBSESSED with the muffins you sent me! I still had two left in my freezer and I swear those are the best muffins I have ever had…and now I am determined to make them! That is if I don’t make this recipe first because these look equally as scrumptious… p.s. I can not wait for our vday exchange 🙂 I’ll be emailing you soon!! These look exactly like angel food cake, OMG, stoked! Can I sub the pamela’s GF baking mix for the almond & coconut flours? I’m new to GF baking and have a huge bag of it. Thanks!